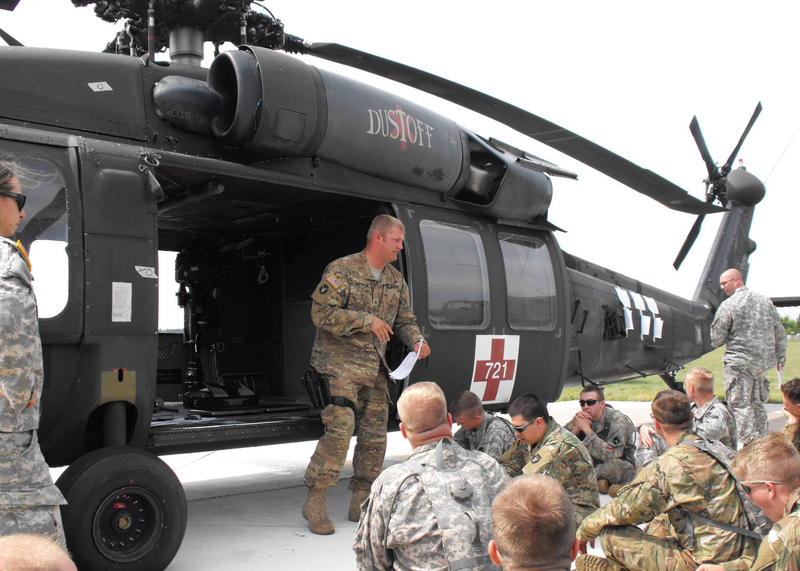 The 834th Aviation Support Battalion (ASB) is an Army National Guard battalion that provides logistics, transportation, medical, maintenance and communications support for the 34th Combat Aviation Brigade. The Soldiers of the 834th ASB support the systems that enable UH-60 Black Hawk and CH-47 Chinook helicopters to perform their missions. There are four companies in the 834th ASB: Headquarters and Supply Company and Companies A, B and C.